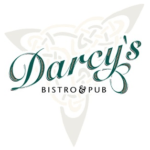 Join us at Darcy’s for our annual volunteer celebration! Collect your invitation/drink card from Shawn Farrell and David Hunter at the park on Wed. May 23 (card must be presented for dinner and free drink). IMPORTANT: Please RSVP below so we can order the right amount of food!